Edinburgh, 12th August 2015 – Exterity, the leading provider of enterprise IP video technologies for the secure distribution of live, on-demand and recorded video over IP, today announced its partnership with the leading distributor of technology solutions Midwich ANZ. The partnership sees Midwich become the exclusive distributor of Exterity products in Australia and New Zealand. 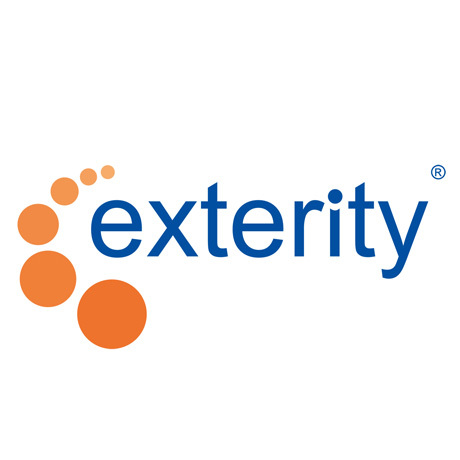 Exterity provides AV technology solutions that leverage the existing corporate network to securely distribute terrestrial, satellite or cable TV, as well as internal channels over IP, allowing the seamless delivery of live TV, premium channels, Over The Top and Video on Demand services, enterprise TV and digital signage to fixed displays and mobile devices. Seamless integration with complementary technologies enables organizations to deliver a complete, feature-rich solution with the ability to design full or multi-zoned screens with live or prerecorded video content; display RSS news feeds and scrolling text; support image playlists and playout scheduling, as well as automatic playback of digital signage. “Working with the renowned brand Exterity will enable us to strongly support the professional IP video marketplace in Australia and New Zealand,” said Midwich ANZ General Manager Mark Lowe. “Starting with Integrate Expo at the end of August, we already envision a busy second half of the year with a series of intensive training courses in Melbourne and Sydney. In addition, we will benefit from enhanced maintenance and support through the new AvediaCare platform that Exterity is making available to its regional partners. The icing on the cake for us is to be able to help sell Exterity’s innovative product portfolio, including its new ‘Beyond the LAN’ range of products. This enables us to be armed for the mobile video revolution that is already starting in the proAV world”. Exterity and Midwich representatives will be on hand to discuss the partnership at Integrate Expo, (stand A33) which takes place on 25th – 27th August 2015 in Melbourne, Australia.